These delicious little devils have an unusual, refreshing sweetness and — yes — they actually do taste like cotton candy. In the summer they were all over the supermarkets and you could buy them everywhere, always at a premium price compared to other grapes. But there were some competitive deals available, and they were worth searching out. Apparently these grapes were developed in California from the Lambrusca variety. Thank you, California. The first supermarket to introduce them to the UK was Sainsbury's. Thank you, Sainsbury's. Keep up the great work. But then these tasty little rascals vanished from the shelves and I began to fret that I'd seen the last of them. I kept searching, despondently, to no avail. 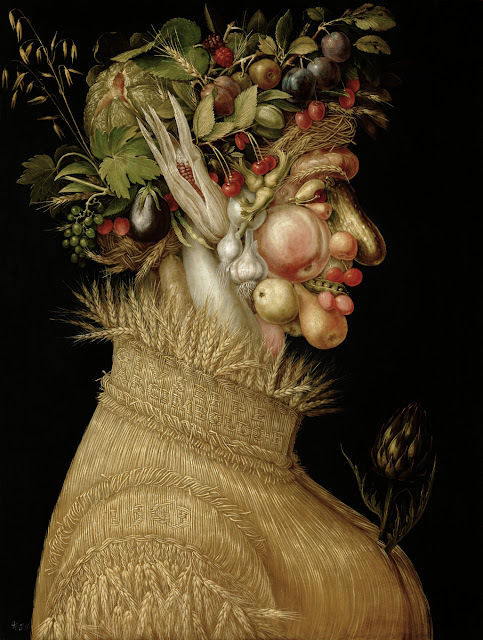 Other high-end grape varieties, like Sable, had been exposed as the boring impostors they were. 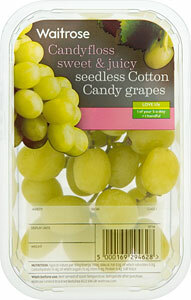 It was cotton candy grapes or nothing. 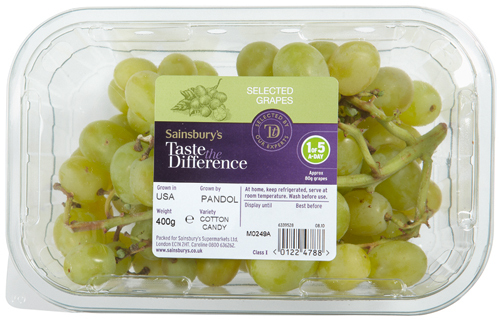 Or, rather, it was cotton candy grapes or whatever grapes were available in Sainsbury's Basics range (often excellent, though constantly varying and unpredictable) for £1.25 per 500g. Then yesterday our little cotton candy friends reappeared. I saw some at Waitrose. They were pricey — £2.50 for 300g — but I snatched them up. A few minutes later I found them in Marks & Spencer at a much better price: £2 for 400g, provided you bought two or more packs. I bought three. Just as well because the Waitrose ones didn't survive long after I got home; my Sardinian neighbour, who'd also been mourning their absence, helped me demolish the punnet. In fact, he ate most of them, the scoundrel. I'd highly recommend these if you haven't tried them. If you have, you're probably already addicted.